NEW! Learn a little about China, it's geography, history and culture, with the kids. Our "fun facts" format provides bite-sized pieces of information that children enjoy learning! China is the world's third largest country, and is located in Southeast Asia along the coastline of the Pacific Ocean. It has an area of 9.6 million square kilometres and its shape on the map is like a rooster. China is bordered by 14 countries - Korea, Vietnam, Laos, Burma, India, Bhutan, Nepal, Pakistan, Afghanistan, Tajikistan, Kyrgyzstan, Kazakstan, Mongolia, and Russia. The tallest mountain on Earth, Mount Everest, sits on the border between China and Nepal. China has numerous rivers and lakes. The Yangtze is the longest in China and in Asia, is the third-longest river in the world. China has large areas of mountainous land covering about two-thirds of the country. The largest city in China is Shanghai, and Beijing is the capital city. The capital, Beijing, is one of the most populated capital cities in the world. China has over 100 cities with a population of over 1 million people! 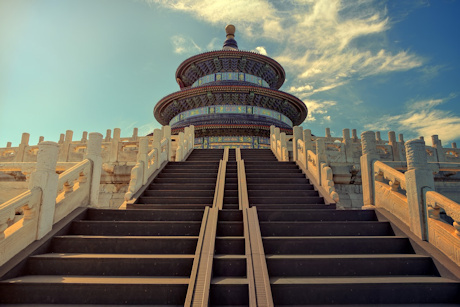 China is home to the oldest of the major world civilizations and was ruled by various powerful families, known as dynasties, for much of its history. The early human species Homo erectus lived in China about a million years ago. Modern human beings (Homo sapiens) are believed to have reached China from Africa around 65,000 years ago. Around 4000 years ago, it is believed that the Xia dynasty ruled China, although there is little known about this time. The first dynasty for which there is some written history is the Shang dynasty, and much of north-central China was united during this time (1700-1046 BC). From 1045-770 BC, the Zhou dynasty replaced Shang as the dominant force across northern China. In 221 BC, the first emperor of China, Emperor Qin, united all of China under one rule. 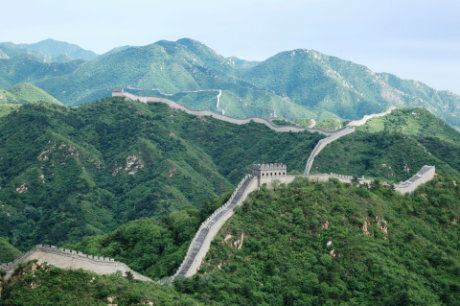 In 220 BC, construction on the Great Wall of China began in an effort to keep out the Mongols. Emperor Qin died in 210 BC and was buried with the Terracotta Army. A peaceful time followed under the Han Dynasty, which ran from 206 BC to 220 AD. The Han Dynasty was a time of invention and science, including the invention of paper, and advancements in medicine, mathematics, building, agriculture, engineering, and astronomy. The Xin dynasty began in AD 9 and was notable for many economic reforms. Other dynasties which followed were Jin Dynasty, Northern and Southern dynasties, Sui Dynasty, Tang dynasty, Five dynasties and the Ten Kingdoms, Yuan Dynasties, and the Qing Dynasty. It's easy to get confused! The Portuguese arrived during the rule of the Ming dynasty (1368-1644) and established trade with China in 1517. In 1911 the Qing dynasty was overthrown by the Xinhai Revolution and revolutionary Sun Yat-sen became the first President of the Republic of China. In 1949 Mao Zedong proclaimed the founding of the People's Republic of China after leading the Communists to victory against the Nationalists after 20 years of civil war. The Nationalists retreated to Taiwan and set up a government there. In 1966 Mao led the Cultural Revolution, and this period was one of the most difficult in Chinese history. Many schools and universities were closed, and people who disagreed with Mao's views were either killed or re-educated through hard labour. Chinese traditional arts and ideas were ignored and publicly attacked. The Cultural Revolution ended shortly after Mao's death in 1976. In recent times, China has become the world’s fastest-growing major economy. China has the largest population on Earth (over 1.4 billion people). If you have parents that are over 60 years old, it’s illegal to not visit them regularly! The Chinese railway is so long that it could loop around the Earth two times! A new skyscraper is built in China every 5 days. Facebook has been banned in China since 2009, although many people find secret ways to access it! About 1 in 5 people worldwide are Chinese. The national animal is the Giant Panda. Table Tennis is the national sport. The Chinese calendar is the oldest known calendar in the world, and it is formed on the movement of the moon. Toilet paper was first invented in China in the 1300s, although when it was first invented only emperors were able to use it! What do you think a day in China is like? Do some research to find out, then write about a typical day in this diary. Our China Fact Worksheet asks children to research a collection of geographical facts about the country, then do some location work on the map. We have two location worksheets on China - one blank (much harder) and one guided (easier). Use them after studying a map of China and getting to know its position within the continent of Asia. 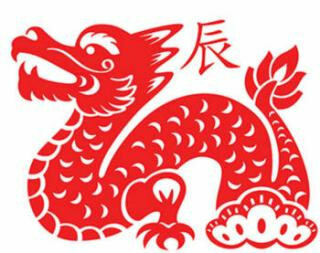 Find out about the red and gold National Emblem of China and explain what the different parts represent, then try designing your own on worksheet 2 if you like! This printable shows a simplified map of Asia, with China's location marked in red. Please note that we don't claim it is completely accurate - but it should give children a good knowledge of China's location, borders and outline. What will the children decide to draw in these 5 frames on this China picture gallery printable? Design your own postcard from China, then imagine you're writing it to send home too! This lovely poster is perfect to print and display if you're studying China as a topic at the moment. We've got some really interesting questions about China on this fun printable quiz. Use alongside our Introduction to China factsheet. People have written stories set in China for thousands for years, and the children can write their own tale on this lovely story paper. This writing prompt is a 3 fold leaflet. Children need to research information to write a China tourist leaflet. Encourage them to think carefully about the information they might want to include and the style that they need to write it in. Here's a writing exercise with a difference! Can the kids write some content for a travel brochure encouraging people to visit China? One of two "fact" worksheets on China, this one is a little more freeform and allows children to do their own research, then write about what they have learned. There's also a location activity. Here's a climate worksheet that will appeal to the kids! Can they describe the climate of China, then find out the current forecast there and enter the information on the phone app template? Find out about the fascinating culture of China, then record what you've learned on this worksheet. Let the kids design their own tourism poster for China using this fun printable. They might choose to draw the Great Wall of China, or Giant Pandas perhaps? Enjoy reading about the fascinating history and varied geography of China, and some fun facts too in this introductory factsheet. Pandas are perhaps the most famous wildlife in China, but can you find out about the other plant and animal life in this incredible country?